Retirement is something that people dream of for years. But when the day finally comes to clock out for the final time, most people feel a twinge of nostalgia and momentary concern. As an employer, you can ensure they feel loved and supported by hosting a touching farewell ceremony. There are certain phases of life – transitional periods where you put something in the past and expectantly look towards the future. Whether it’s getting married, raising children, sending kids off to college, or starting a new career opportunities – we all experience key moments where there’s friction caused by expectations and unknowns. Retirement is certainly one of these unique periods. The first thing you have to decide on is the guest list. Who will you invite to the party? There are a couple of different schools of thought here. The first school of thought is that you should keep the retirement party to individuals inside the company. In other words, this is a celebration of the employee by the company and coworkers who shared professional duties with the individual. The second approach says that this is a celebration of the retiree’s entire career, in which case it may be best to host the party at a neutral site and invite individuals outside of the business organization – including family members, friends, and previous bosses and coworkers. There isn’t a right answer, per se. Just make sure that you specify the details of the party so that expectations are clear. When saying farewell to an employee is an opportunity to say something special. You want to create a farewell that is professional and personalized to the years of work that employee has completed. Instead of winging it and coming up with words on the spot, prepare a few words so they’ll come across as poised and thoughtful. As you prepare your farewell speech, recall a story that would bring back positive memories and accomplishments. If you craft a memorable farewell speech, the retiring employee will appreciate it for a long time. 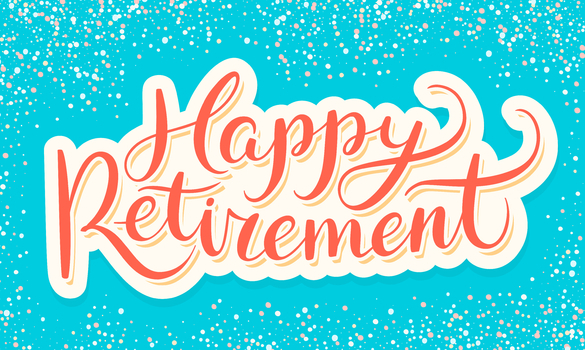 During a retirement party, it’s generally expected that the guest of honor will receive some sort of gift or token of appreciation from the employer. The key is to select a gift that means something – rather than a disposable item that will quickly be forgotten. This is something they do really well in the military. When an individual experiences a change of command, new deployment, or retirement, they’re often given plaques to commemorate service. The same thought should be given to farewell events in the private sector. As an employer, you know your employees. However, the reality is that you don’t know your employees nearly as well as their peers and coworkers do. To throw a retirement party that’s unique and well-received, it’s smart to involve coworkers in the event planning process. You have to be conscientious about the mood of the retirement party. If you don’t actively seek out balance between reflection and anticipation, the entire event could feel inappropriate. There should be an element that looks at the past and commemorates what’s happened, as well as a part that’s hopeful about what the future holds. Losing an employee to retirement can be difficult as an employer. If they were particularly experienced and skillful, it’s nearly impossible to replace them. Sure, you can hire someone else to fill their shoes, but it will take years for that individual to reach the same level. With that being said, remember that an employee’s retirement isn’t about you. There will be plenty of time for you to focus on finding candidates and onboarding a new employee. During the retirement party, let the spotlight shine on the retiring individual. A graceful goodbye will be appreciated by all.